The History Workshop course introduces Rutgers University History majors and undergraduate students from other departments to archival research and the analysis and interpretation of primary source records. During the Spring 2018 semester, students in Professor Andy Urban’s class focused on records from the Immigration and Naturalization Service (INS). 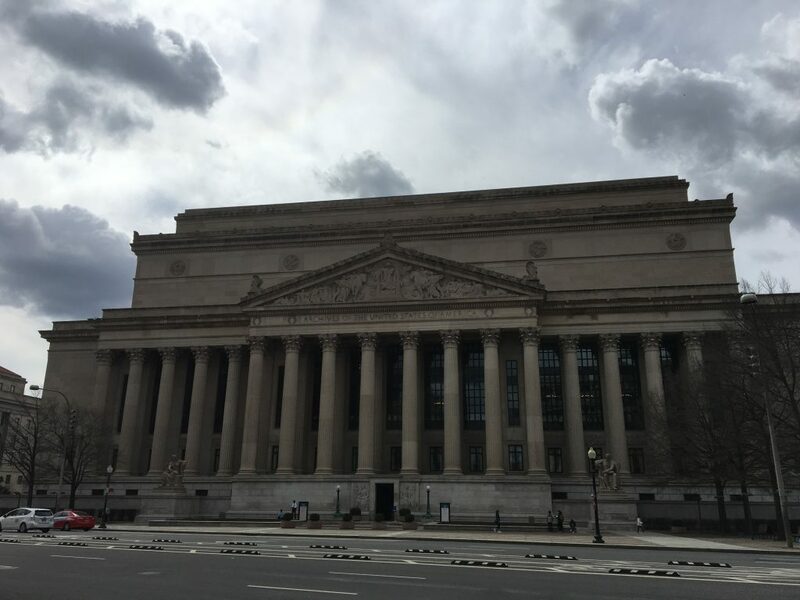 Each student in the class was assigned an INS case file from the National Archives and Record Administration records in Washington, D.C.
National Archives Building, Washington. D.C. Photo by Andy Urban. Known by their nickname, “the 56,000 series,” the Immigration Policy and Correspondence files document the interrogations, investigations, and appeal processes that determined whether an immigrant was eligible to enter or the United States or remain in the country following their initial landing. 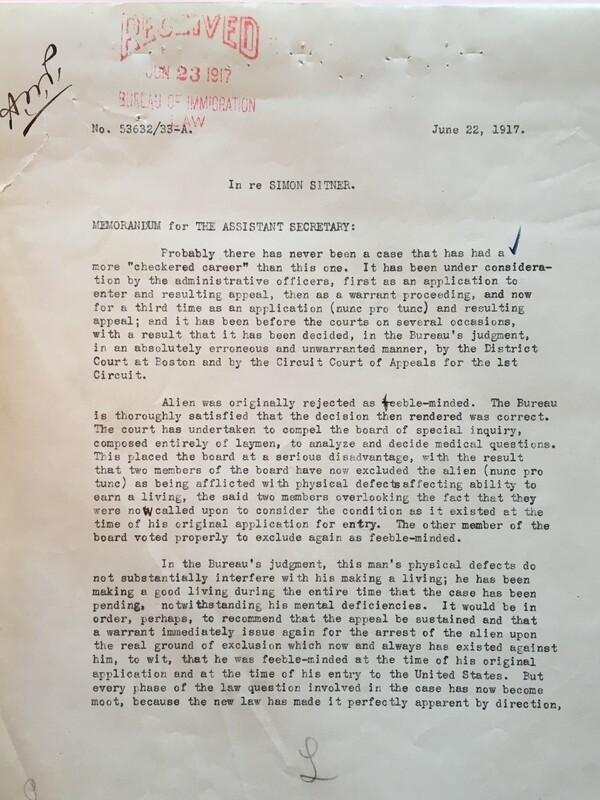 These memoranda, correspondence, and legal briefs, many of which have remained unexamined by researchers since their creation, offer unique insights into the United States’ attempts to regulate and restrict immigration during the early twentieth century (1906-1931). Memorandum from the Assistant Commissioner General of Ellis Island to the Assistant Secretary of Labor, evaluating Simon Sitner’s mental state. Details on Sitner’s case, file 53632/33-A, can be found in How One Immigrant Almost Rewrote Immigration Law. The INS maintained stations at major ports of entry and border crossings across the United States. The 1893 Immigration Act ordered the creation of three-men Boards of Special Inquiry, to be convened at the different immigration stations, which in turn issued the first ruling on whether an immigrant was eligible or ineligible to enter the country. When an immigrant appealed a decision denying them entry, INS officials created files that were then sent to Washington, D.C. Upon receipt, the Commissioner-General of Immigration in Washington either confirmed or overturned the appeal. In addition, the INS also kept files related to the questions, problems, and concerns that enforcement work in the field generated, and to deportation. The INS could deport an immigrant when it was discovered that a cause for debarment had been revealed or discovered after their landing (with the 1917 Immigration Act, and immigrant could be deported up to five years after their arrival). The bulk of the cases examined in this exhibit come from Ellis Island, the nation’s largest port of entry. Ancestry.com has digitized the INS’s old card catalog, which provides a guide to the different subject and correspondence files available. The records for this exhibit come from a sampling of case files collected from the National Archives. This exhibit is divided into different sections that reflect the statutory reasons that immigration officials used to determine, with significant discretionary power, why a person attempting to land or remain in the United States could be debarred or deported respectively. Since in numerous case files the reasons given for possible debarment or deportation could invoke multiple justifications for an immigrant’s debarment or removal, students chose which exhibit section they thought best suited their file. 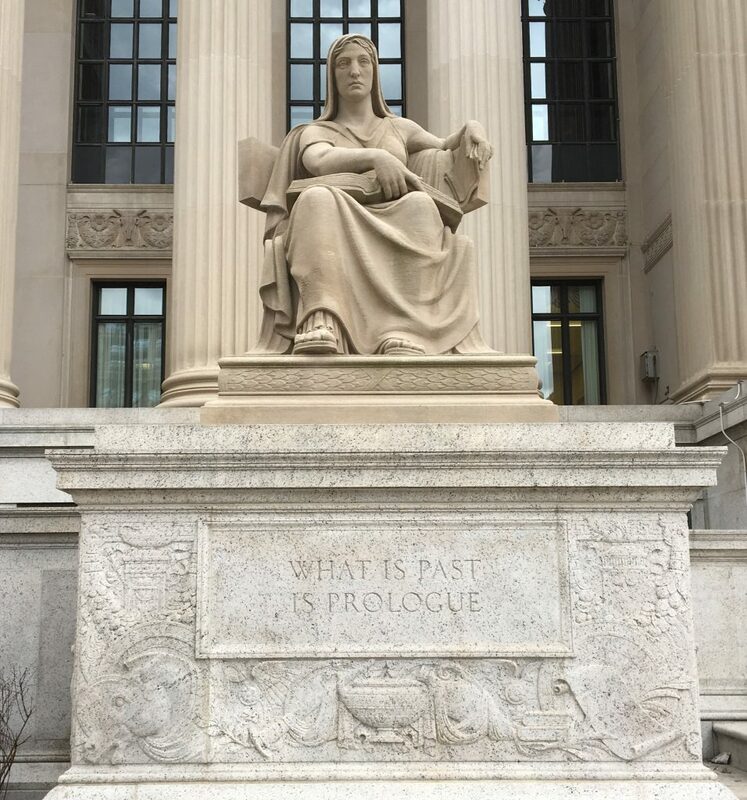 Statue outside the National Archives building. Photo by Andy Urban. For the most part, this exhibit focuses on cases involving immigrants from Europe and countries of the Western Hemisphere. These immigrants were barred from entering or deported for reasons that had to do with their individual circumstances. Beginning with the 1882 Chinese Restriction Act – which barred Chinese laborers from entering the United States and specifically targeted them as a racial class – Chinese and then Asian immigrants were targeted for outright exclusion rather than just restriction. For additional information on the history of Chinese exclusion laws in New Jersey, please visit the Rutgers/New Jersey Digital Highway exhibit that a previous class of Professor Urban’s curated.